You'll be dreaming of the ocean while knitting this pretty scarf. 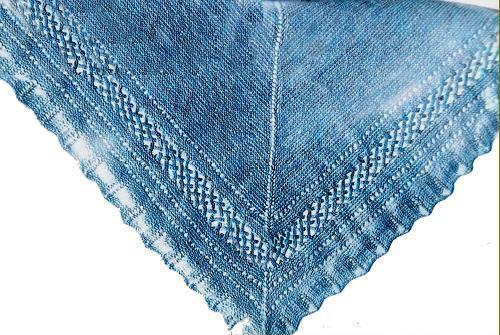 The main motif is derivative of the popular Feather & Fan lace stitch, with an elegant ribbed openwork border. Blocked finished measurements 14" wide by 60" long. lace weight yarn in your choice of 7 colors. Size 6 circular needle suggested. 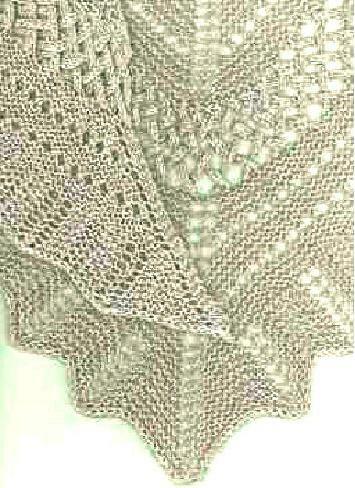 Kit with pattern & Juniper lace weight yarn $14. 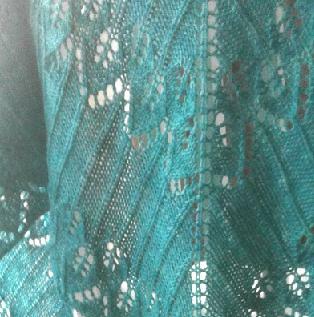 Kit with pattern & Bottle Green lace weight yarn $14.